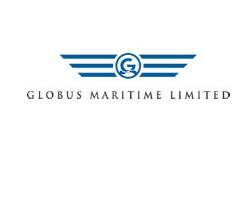 Globus Maritime Limited (NASDAQ: GLBS), a dry bulk shipping company, reported its unaudited consolidated operating and financial results for the three-month period ended March 31, 2011. The Company also declared a quarterly cash dividend of $0.16 per share for the three-month period ended March 31, 2011. This is the third quarterly cash dividend declared by the Company’s Board of Directors since the listing of its common shares on the NASDAQ Global Market in November 2010. Prior to listing on the NASDAQ, the Company’s shares traded on the Alternative Investment Market of the London Stock Exchange from June 2007 to November 2010. * Fleet utilization was 99.5% versus 96.7%; fleet utilization is further defined below.